Do things differently, learn from a maverick. BPIF Members’ Day looks set to inspire and help delegates embrace change. The BPIF will be hosting this year’s Members’ Day on 4 July in London, with a morning conference and the BPIF AGM taking place at the St Bride Foundation and the All-Party Parliamentary Print Group Reception being held at the House of Lords in the afternoon. Following the success of last year’s conference, the morning will consist of a session hosted by Founder of strategic change consultancy Maverick Planet, Mark Palmer. He will cover topics including why print isn’t the only industry in the midst of change, lessons on leadership and change in a challenging climate and what skills a 21st century business needs. He will pass on practical tips and approaches that can be leveraged by leaders in any business tomorrow. Charles Jarrold, Chief Executive, says, “For any business looking to adapt to change or evolve in the current climate Mark’s session is a must. He’s worked with a plethora of big names (Bupa, BSkyB, Cadbury, Lego and Samsung to name a few) enacting change in their businesses, and has accumulated many lessons, experiences and practical ideas of how to remove inertia and create successful change”. In the afternoon members will be provided with a review of the key achievements made by the BPIF over the past year and a look ahead to the coming months. Attendees are then invited to join BPIF on the Terrace at the House of Lords for the annual All-Party Parliamentary Print Group (APPPG) Reception from 15.30 to 17.00. The APPPG is an excellent opportunity to network with MPs, Peers and representatives from print’s key industry bodies to showcase the importance of printing to the UK economy over drinks and canapes. We held our 191st Annual General Meeting on 12 June at St Bride Foundation, London, attended by industry guests, members, Trustees, and staff. 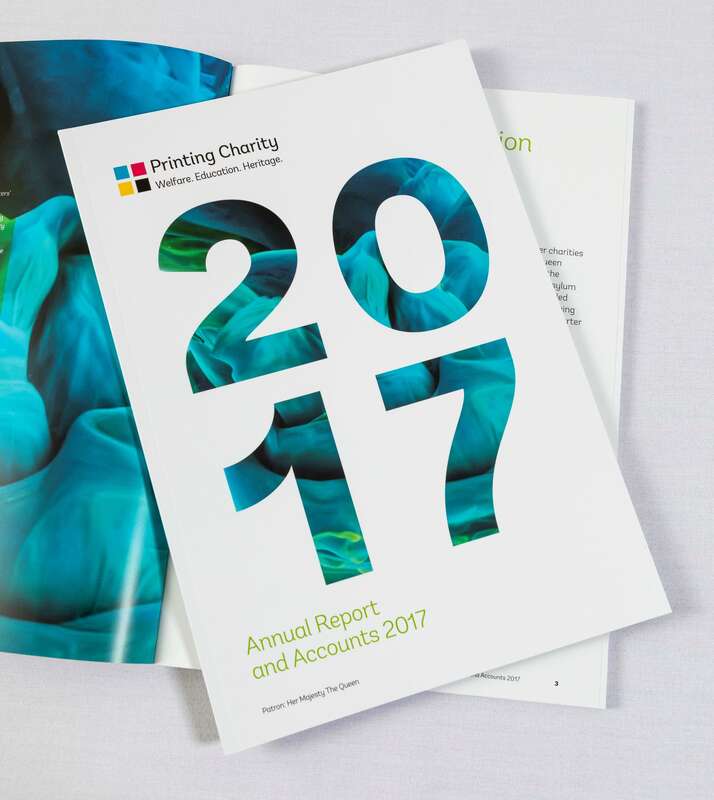 Reporting on our 2017 performance, Jon Wright, our Chairman, announced that our financial and practical support helped 1,296 people. We gave 986 welfare grants, an increase of 28 per cent on the previous year, reflecting the fact that some beneficiaries were helped more than once; 724 people were helped across welfare and unemployment support; and almost 500 people through our education initiatives, which included a 56 per cent increase from 2016 in the number of Print Futures Awards given. The number helped with redundancy support was less than expected, impacting the overall number of people helped compared to 2016. We are developing our services and moving away from measuring our impact solely by the number of people helped. Our future measures will incorporate our impact including areas such as signposting to specialist services as well as the number of grants and interventions made. At our AGM, Jon Wright and Steve Sibbald were re-elected as our Chairman and Deputy Chairman respectively. Guest speaker, Benjamin Charman, a trainee project manager at Paragon Customer Communications and a 2017 Print Futures Awards winner, outlined the advantages of completing an apprenticeship that led to his current role working on two high profile projects, one of which is to reduce data security risks. The second guest speaker, Tom Hall, a partner at Future Proof CIC, gave an overview of the process and headline findings of the Impact Report we commissioned to help us understand our beneficiaries and stakeholders better and inform the shape of future activities. Highlighting the practical support we give to young people, the event included an exhibition of work by eight University of the Arts/London College of Communication students studying photojournalism and documentary photography. Tom Barlow Brown, Carola Cappellari, Maxime Cossé, Sebastian Garraway, Claudia Greco, Marcin Nowak, Baldassare Sciacca, and Tom Walton produced the work in response to our live brief to capture the essence of what print means to them. Antalis is the UK and Ireland’s leading supplier of paper, visual communications and packaging materials to the print, sign and display, office, industrial packaging and publishing markets. The Antalis Academy is a unique training facility offering the industry hands-on workshops to help businesses upskill, diversify and grow in both small and large format digital print. They conduct a series of seminars throughout the year to bring the industry together to share knowledge, network and promote innovation.